The scientists created an isolated monopole – a north pole in a stimulated magnetic field, realizing a thought experiment that was theoretically foreseen over eighty years ago. The difference that has been artificially pointed out by the scientists comes to prove that in a natural environment north and south magnetic poles are exclusively connected and when we cut a bar magnet in half the result is two different magnets with two different poles, rather than separate north and south poles for each half. And while this is an interesting discovery, it’s also worth mentioning that the electrostatic positive and negative charges do exist independently. There has been a sort of scientific anticipation of the magnetic monopoles in 1931, and Paul Dirac – the physicist who suggested this possibility, thus being certain of the impossibility to mathematically link the concepts – that also suggested a possible explanation for the charge in discrete packages as multiples of a charge of a single electron. 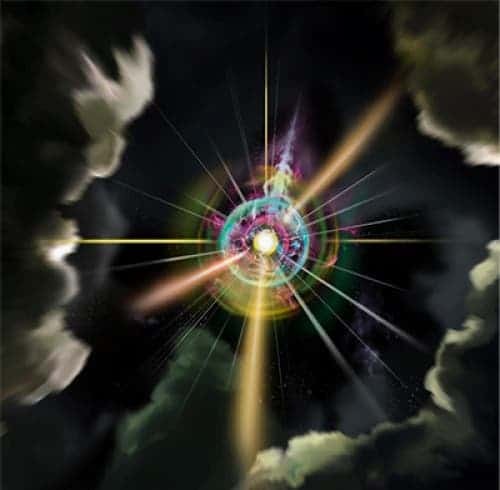 What the research have indicated is that magnetic monopoles were forged as elementary particles because of the Big Bang but the replica was never designed in a laboratory, neither detected in reality. The research that has been published in Nature today has represented the monopole suggested by Dirac back in 1931, through simulation in a cloud of super-cold rubidium atoms. The team, supervised by David Hall at Amherst College in Massachusetts, followed the thesis submitted by Ville Pietila and Mikko Mottonen from Aalto University in Finland as a second premises, according to which by using external magnetic fields a point like topological defects can be imprinted on the spin texture of a dilute Bose-Einstein Condensate (BEC). The topological defect is accompanied with a vortex filament corresponding to the Dirac string of a magnetic monopole, thanks to the symmetries of the condensate order parameter. Consequently the vorticity in the condensate is the same as the magnetic field of a magnetic monopole, thus making an ideal analogue to Dirac’s monopole. This discovery was used by Hall’s team to simulate the behavior of an electron in the vicinity of a magnetic monopole while using a gas of around a million rubidium atoms, cooled to less than 100-billionths of a degree above absolute zero, point in which the atoms begin to lose the individual identities and become part of a collective quantum state of matter also known as BEC. Other attempts of creating monopole analogues have been registered by the scientific community in 2009, when a team of physicists observed magnetic monopoles in spin ice (a crystalline material), which seems to fill with atom-sized classical monopoles when cooled close to absolute zero. Although these monopoles are truly magnetic, they can’t be analyzed individually. Another example of comparable analogue is superfluid helium, although with less direct observations.